Moderation Staff are in need of more volunteers. If you are interested in contributing to the server in the form of a moderator please apply. A lot of “New Year's Resolutions” were made for staff and a lot of them have been enacted on with many to follow in the coming weeks. 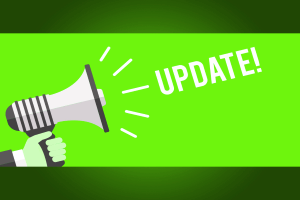 For the most part we have been rather silent on the front of communication, but I will be taking some time in this monthly update to explain how our current changes have worked out and also some future ones that will be coming down the road. Know that each of these changes were done in the mindset that we want to better serve the community and be more effective. These changes will not be isolated to moderation and will spread across our entire staff. More information will be given as we are able to share. If you do have questions after reading through this post make sure to leave a comment down below and I will answer it to the best of my ability. P.S. Due to how many changes there are I will be doing this in a dev log update style with notes attached to each change. So as you might have noticed There is little to no trace left of Game Moderators or Forum Moderators. Both of these teams starting earlier in the month were turned into legacy teams and phased out during a transition period. Due to GMs and FMs being phased out there needed to be a replacement staff group to eat up the duties that used to be managed by GMs and FMs. Moderation Staff have eaten up most of those responsibilities though as staff as a whole continues to take a new shape some of those duties and commitments will shift and bounce around. For the average player though, modreqs and ingame matters are now handled by Moderation Staff and forum related issues and moderation are also handled by Moderation Staff. Simple! With moderation under one staff group there are less opportunities for lapses in judgement and mishandling of situations and there is a bigger opportunity to ensure that bad actors in our community are caught and restricted, when necessary, on our platforms to ensure that their poor behavior does not rub off on other community members and they recognize their poor behavior and change for the better. In addition, we no longer have a team director meaning that the bulk of direction will fall on the Moderation Administrator with day to day operations and issues handled by Moderation Managers. Corpean is still in the process of working with the team on war rules. There has been community input and we have also been talking with nation leaders from time to time during the process. This has taken longer than he expected, as is very clear by everyone in the community, so he will continue to work on it and see to have it done. I am pushing him to have it ready by the time 7.0 is released which is expected to be later on in February (Now Early March). In the meantime War Discord has been axed and we have integrated that infrastructure over to the LoTC Public Discord for ease of use. Nation leaders have done a transition from a private Discord we had set up to the LoTC Public Discord. There will be a mod or two dedicated to working with them to go through feedback, complaints, and suggestions they have. This will also be done on the forums and in the general public sections on Discord. We want to start doing a better job of working with nation leaders since they are a large source of the organization of player groups which by extension creates activity and more roleplay opportunities for the server. So for different community events such as Community Meetings, or general discussions on the LoTC Public Discord we had issues relating to bot accounts raiding our server or people abusing mechanics built into Discord. Obviously I will not go into detail about how they did it, but what we will say is that there is a reason we have a verification process that you must do prior to being a part of our Discord in certain capacities. This has been a welcomed change to the majority of the community since less trolling = more roleplay related conversations and serious discussions. Over this month we started looking into addressing several issues we’ve had with poor vilain roleplay. A struggle we’ve had for a long time is ensuring that the people interested in providing that kind of roleplay take that matter seriously and don’t do it for a quick ooc jab at another player group and so forth. Our blacklist information was updated by taking in feedback from moderators and nation leaders who also voiced concerns regarding some of the old standards. Through this we also ramped up our infraction lengths for repeating offenders to where there is a lot more accountability expected out of a player who gets a warning or short blacklist. Repeating parties who have poor behavior are now being punished at a stronger rate which will hopefully discourage other players from following those bad habits. Do note that this does not hurt roleplayers who provide vilain roleplay that has quality attached to it, only those who do it to troll and ruin other player’s experiences on the server. Included in this update is an apology on my behalf to the orc community due to recent events that have transpired and have come to light recently. Due to a mishandling of moderation permissions rules were allowed to be broken which put this community in a very awkward spot on the ending part of this map. This has been spoken to amongst the administration and steps will be taken to compensate the playerbase for the unintended hardships this produced. More details will be given at a later date by another admin. Starting now failed activity checks will result in the removal of freebuilds. They will no longer be given to other players as we go about cleaning up the map in preparation for 7.0. For a long time now this has also been an issue contributing to a really poor looking map environment for players since a player that would claim an inactive build with then themselves be inactive and ultimately repeat the cycle over and over again. As some small odds and ends blocked off entrances that are mechanically access via placing and destroying blocks will no longer be permitted. There must be a mechanism that triggers this function or a way into said area. Moderation Staff received a total of 2088 modreqs in January. Congratulations and thank you to: Aurial_, ScreamingDingo, and Punisher8817 for taking the most tickets in that respective order! The monthly quota for Moderation Staff 3%, for this month that meant an individual Mod had to complete a total of 62. Below you can view the general statistics for all members of the team. Keep in mind some new Mods were added to the team late in the month and some Mods were on leave for real life reasons. To 501warhead for developing a new logging plugin to replace Hawkeye in 1.13. To Llir for coding tools and new functions for Moderation Staff. To Corpean and Doriftu for being on board and for this idea and providing feedback and support. To Tythus for GrubHubbing me a burger from Burger King. To Telanir for assistance and guidance in restructuring. To Pond for providing community insight and details relating to staff corruption. To Blago for doing the same as above. Thank you Fireheart, very cool! Very cool Mister Fireheart on high 😉 sadly I won’t be joining the Moderation Team and I think you know the reasons why, yes not reason but for reasons, I cannot speak about lest the big boy admins get angered more than likely. (heh.) As much as I’d love to join the Team or apply I simply can’t for the reason that [REDACTED] [REDACTED] [REDACTED], but hey if you need help with anything you goonies I am here, I am always happy to help, but I cannot join the Team if that makes sense. And congratulations to the current members of the roster, being a Moderation Member can and will be harder and seem bleak, but try to be on top and show a little kindness it does help in solving matters peacefully. Can you please pass comment on the fact that two out of three of the global moderation managers on the moderation team ( @Pun, @Corpean) and one of your global moderators ( @Sky) are all in staff positions within a rival server run by former dissatisfied members of LoTC, that has shown serious issue with LoTC as an overall server, the community within it, and more notably, with the staff itself? These are the ones who are notable on the moderation team, who are involved in a staff capacity, but I am sure there are more throughout the staff. While I don’t have an issue with those who wish to create and run, competition within the small corner of Minecraft that is MCRP, I do take issue with having people in powerful positions who could possibly defect, and cause harm to the server and staff in the long-run. These are the ones who are notable on the moderation team, who are involved in a staff capacity, but I am sure there are more throughout the staff. While I don’t have an issue with those who wish to create and run, competition within the small corner of Minecraft that is MCRP, I do take issue with having people in powerful positions who could possibly defect, and cause harm to the server and staff in the long-run. People are free to do what they want to do with their free time. As long as they contribute to the server and are able to balance things on their end I do not have issues with it, nor is it my business to police what people do in their personal lives. We are all volunteers and we give up our time for the community and if a position of power is misused it is handled as such and apprioate action does follow. I was under the assumption we were on LotC not Massivecraft ? Both rival server projects were started up during the time you were part of the administration team, partially as a result of decisions you have made. There ain’t any rule preventing them from doing so, but can’t /you/ comment on it first, in light of the above? For some, freebuilding is the life of this server. As the owner of Mynebor, without freebuilding and the claiming of other freebuilt structures built by other players, the RP there would not have been quite as fun. While I understand the reasoning, this is also what I would call a lazy fix. Going over the activity of the player attempting to claim the build, or an amount of time before inactive freebuilds were removed were ideas I had in mind. Everything else looks good though, well done. I don’t understand where you are coming from – All that has changed is that instead of someone walking up to an inactive building and being able to claim it for it to fall into inactivity again, the freebuild is purged. I’d say the lazy fix was when we gave it to another in hopes they would make it active.